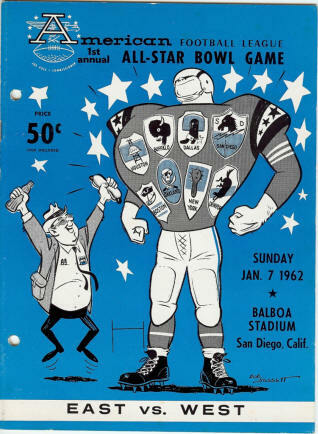 The American Football League did not play an All-Star game after its first season in 1960, but did stage All-Star games for the 1961 through 1969 seasons. All-Star teams from the Eastern and Western divisions played each other after every season except 1965. That season, the league champion Buffalo Bills played against a team made up of all-stars from the other teams. Because the games were played at the end of the season, they occurred in the next calendar year. 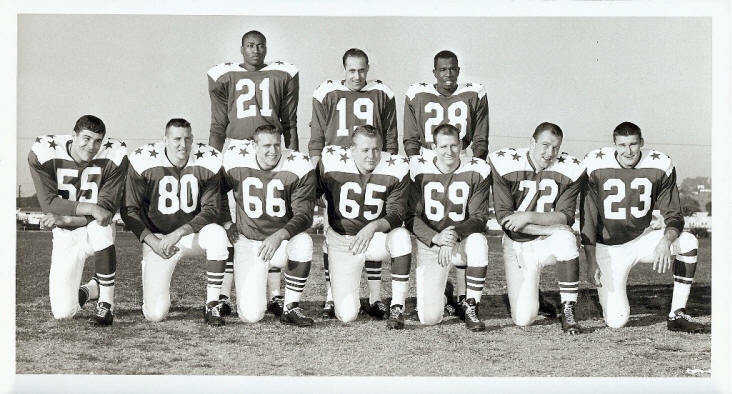 Thus, the 1961 AFL All-Star game (with players selected as all-stars for the 1961 season) was played on January 7, 1962; the 1962 game was played in January 1963, etc. 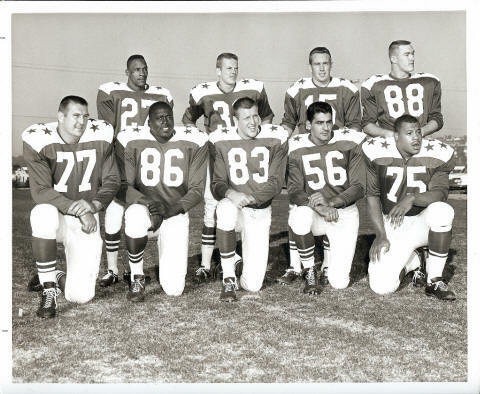 I don't (yet) have a full-squad photo, but below are photos of 1961 AFL All-Star players from the Dallas Texans and the San Diego Chargers, two AFL-West powers that had heavy representaion in the All-Star Game. The link below will take you to a game summary, originally created by Mark Bolding. Most of the content of this and the other AFL All-Star Game summaries was retrieved from the 'Internet Archive Wayback Machine' at archive.org/web/web.php, which claims copyright for the work. Bolding's original site classified the games by the calendar year they were played in. Since they were played at the end of AFL seasons and the All-Stars involved were so chosen for their play in those seasons, I classify them by the AFL season which they represented. 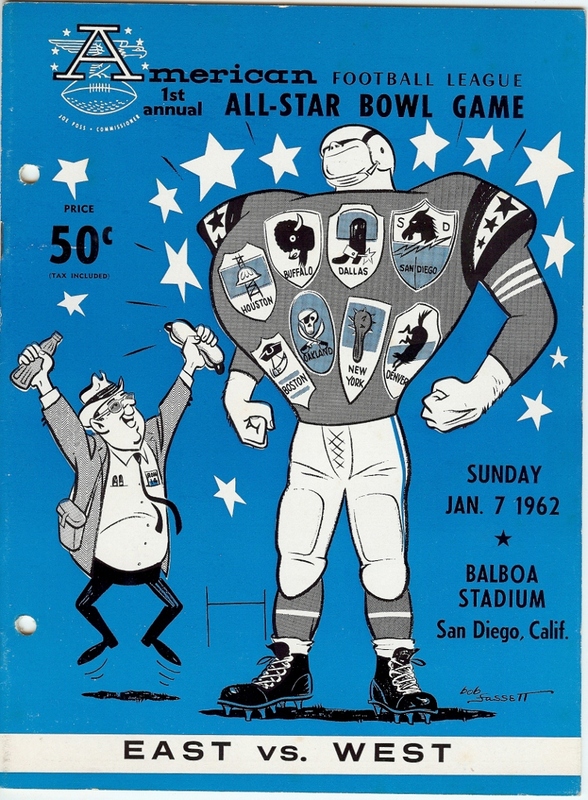 Thus the AFL All-Star Game that featured stars of the 1961 season was played in January 1962. 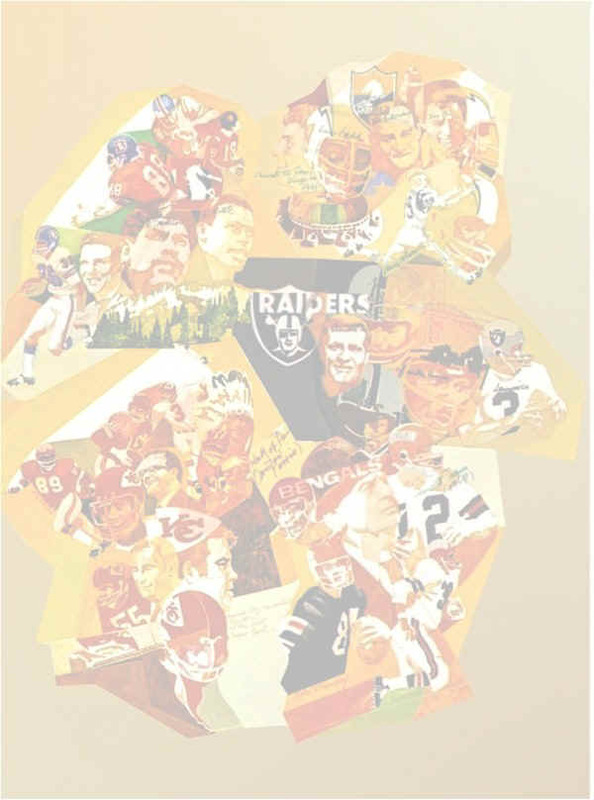 �2003 American Football League Hall of Fame All rights reserved. 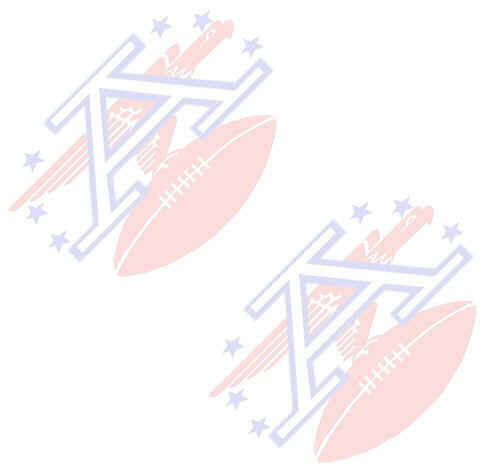 Duplicate in any form you like, if you're an AFL fan.